9:00 AM - 5:00 PM Open to REIA Members and the Public with Registration! Have you ever heard the old adage "if you tell too many people about your business you won't have any business to tell about"? Getting and keeping you and your business safe from prying eyes and out of reach of those trying to gain financially at your expense are essential for real estate investors, whether an investor is a seasoned pro or a newbie, before something goes wrong! 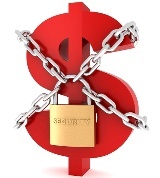 Asset protection comes in various forms and levels but needn't be a barrier to getting started or growing your wealth, break the bank or consume all of your time. 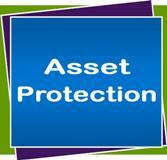 Asset protection is, in our opinion, a necessary part of doing business, assuming you want to keep your assets when problems arise! There will be lots of opportunity for Q & A! Bring your asset protection questions! Register now using the Member or Non-Member link below to save a spot as seating will be limited! Payment Details: This REIA Class is $69 for REIA Members with registration; Guests are welcome and attend for $89 with registration. Event fees are payable by cash, American Express, VISA, MasterCard or Discover at the door. Sorry, we do not accept checks. Early registration is strongly recommended! Directions: Traveling NORTH on I-5 take exit #193 at Pacific Avenue; turn LEFT or WEST onto Pacific; turn RIGHT at the light onto Cedar. Park on Cedar or at the rear of the hotel. Traveling SOUTH on I-5 take exit #194 at WENATCHEE/EVERETT AVE toward WA-529/EVERETT AVE/CITY CENTER; turn RIGHT on Everett Ave; turn LEFT on Maple St (WA-529); turn RIGHT on Pacific; turn RIGHT at the light onto Cedar. Park on Cedar or at the rear of the hotel.